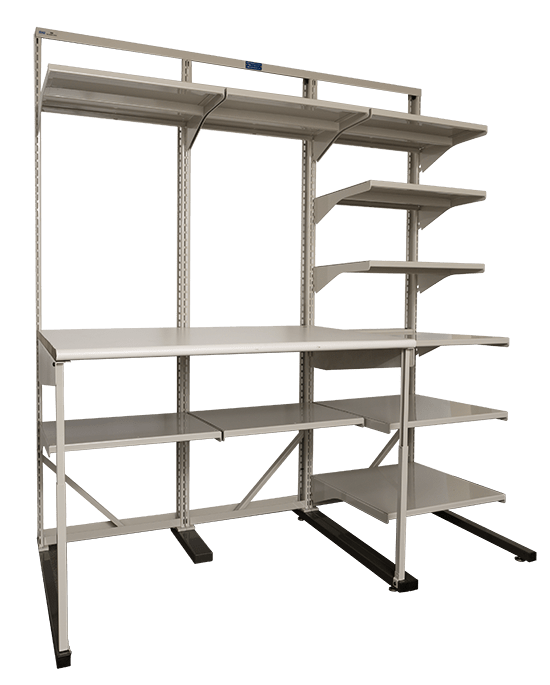 THS Workstations by Summit are modular systems that are easily configured to accommodate individual or small workspaces, large factory environments, and everything in between. Transform your space into an integrated, efficient, highly productive work environment. Maximum flexibility and adaptability allows you to optimize your individual workspace, eliminate constraints and improve your workflow. Task Handling Solution modular workstations are hard-working, high-quality furniture developed for rugged work environments. Enjoy maximum versatility, built to last. THS Modules come in four standard widths — 24”, 30”, 36” and 48” — and can be configured in a variety of ways. Assemble one, two, three or four modules together (side-to-side or back-to-back) to form a bench solution. Cabinets, drawers, lighting and other accessories can be easily added, customized to your unique requirements. Standard 72” and 82” height options, depths of 24”, 30” and 36”, and worktops available in sizes 24″, 30″, 36″ by 48″, 72″ or 96″. Along with sit/stand options, various work surfaces are available and include: laminate, ESD laminate, woodblock, stainless steel, phenolic resin. Load-bearing capacity of the work-surface is 500 pounds. 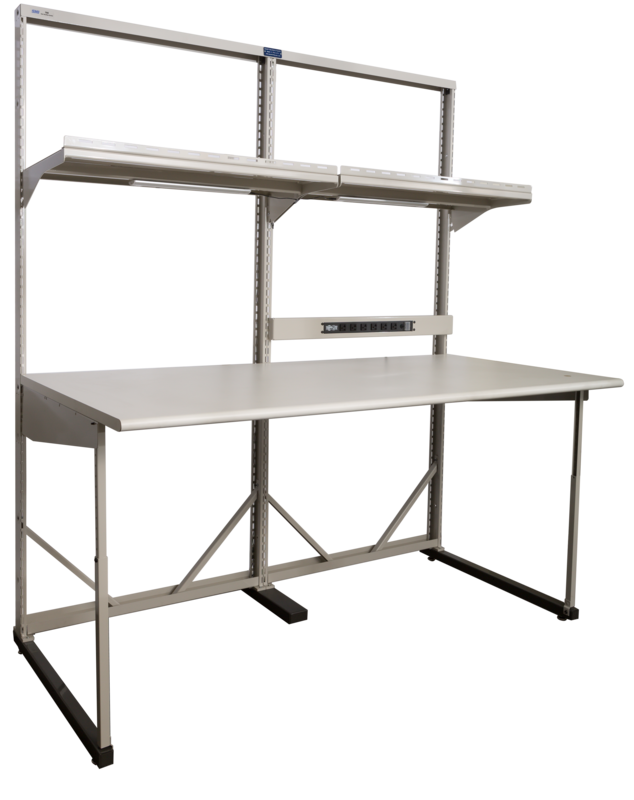 Let us help you build a THS Workstation or Sit/Stand Workstation that suits your needs. Begin by filling out the form below. Once we hear from you we will contact you directly, discuss other integrated accessory options that are available and get you your free custom quote.